Alloy Software continues to garner industry recognition with a pair of award victories from a leading analytical review platform. 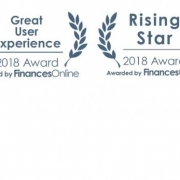 Alloy Navigator was reviewed and has been awarded the 2018 Great User Experience Award and 2018 Rising Star Award from FinancesOnline, a popular independent review platform for B2B, SaaS, and financial solutions. The Rising Star Award is given to software products that have notably increased in popularity, have received excellent customer traction and are very efficient at resolving relevant user issues. FinancesOnline vouched for Alloy Navigator’s effectiveness as well by commending us in their IT service management analysis and report. 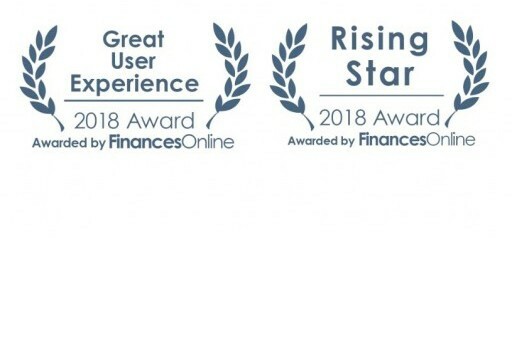 To determine the software’s popularity, FinancesOnline applied its behavior-based Customer Satisfaction Algorithm that gathers comments, feedback, opinions, and reviews to determine a rating based on user sentiment of the software. Alloy Navigator received an exceptional User Satisfaction score of 98%, thus proving it to be an outstanding fit among leading IT Service Management platforms. These two awards reaffirm Alloy Navigator as the natural choice for businesses who strive to achieve the highest levels of productivity. Visit FinancesOnline’s Alloy Navigator features review to view the full details of the analysis. Alloy Navigator is an all-inclusive IT Service and Asset Management solution trusted by IT professionals internationally. In 2017, Alloy Navigator was ranked among the Top 20 Most Popular ITSM products by Capterra. This year, Alloy Navigator has risen to win a Bronze Stevie Award, a Silver Customer Sales and Service World Award, a Gold Consumer World Award and recognition by Capterra as a Top 20 Most Affordable Help Desk Solution.